Yesterday, I looked at some fields near our Melrose and Galesville locations and saw patterns of stressed, stunted, and uneven corn. These patterns have been seen all across our trade area, especially in medium to fine textured soils. It appears these patterns have shown up in our fields for a number of reasons. The primary culprit is the weather conditions we have gone through. The pounding rains have helped to compact these soils and reduce or eliminate the amount of oxygen present in the profile. Combine this with cool, cloudy and wet conditions and you can see the results. 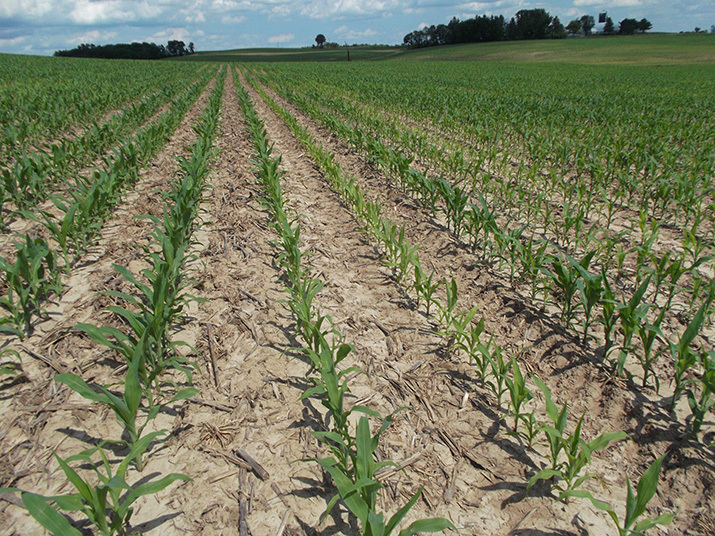 Areas of the field that have tighter soils from either the type of soil present or traffic patterns show the stunted symptoms much easier. If you can cultivate, that would help break up these tight soils and allow some air movement to occur. 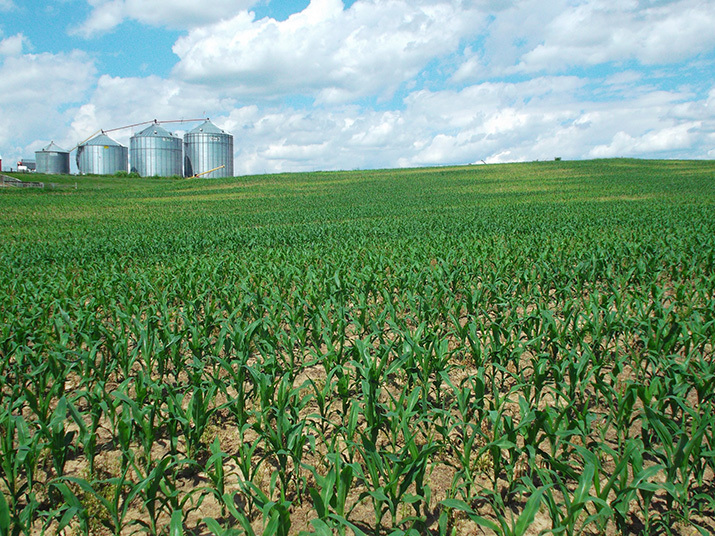 If cultivation is not an option, please try to reduce the stress on the plant wherever possible by keeping the field weed free (use a residual herbicide whenever possible); maintaining adequate fertility (confirm with tissue analysis); reducing the possibility of diseases (consider a foliar fungicide); and monitoring nematode pressure. 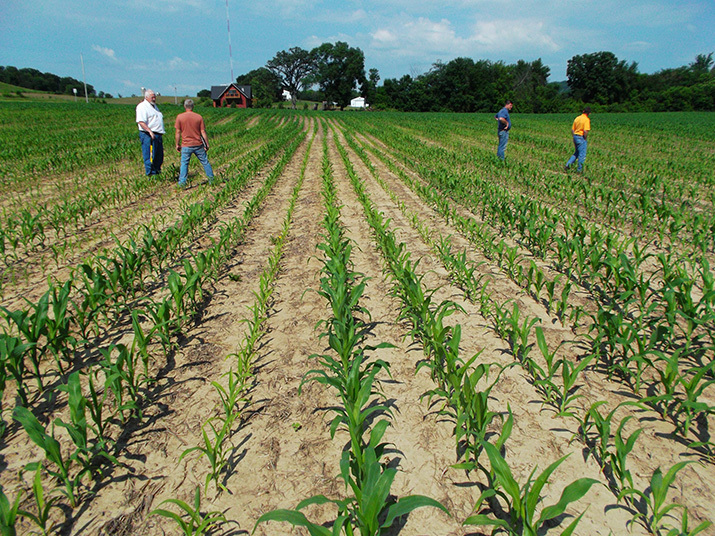 Please let us know if you diagnose any issues you are seeing in your fields.